Alan AtKisson is a gracious and insightful sustainability colleague, one of the Big Names in the profession. I remember attending one of his workshops when Marsha Willard and I were trying to establish credentials in sustainability. He knew our work and treated us as equals. Later, when we were forming the International Society for Sustainability Professionals, he agreed to be on our faculty in part because I told him he could do the internet courses “in his jammies,” a job he could do without traveling from his family. He’s always made an effort to meet when we are in the same city. To me, his willingness to help others in the field says a lot about him, and a lot about our industry. It’s not about who gets the job; it’s about how we are going to save humanity and the planet, together. All good ideas are welcome. Alan just republished the job description of a sustainability change agent that he penned a decade ago. His writing is always clear and poetic. And I’m heartened that in 10 years, the job has gotten less lonely. 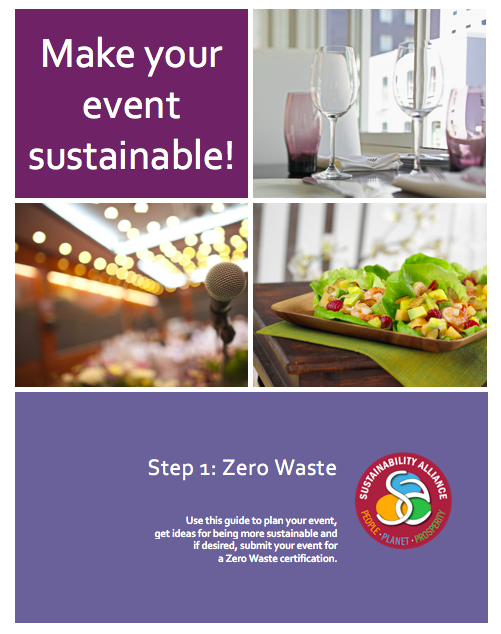 Far more people and organizations understand sustainability. We still have a long way to go but sometimes it’s good to look back to see how far we have come. For me it’s a source of hope. Most of the ocean plastic enters the ocean through the poorest countries. If you're desperately poor, you can't be bothered with recycling even if it existed in your community. But what if that plastic 'trash' had an accessible market, a value that could easily be exchanged for cash? The Plastic Bank makes it possible for poor people in underdeveloped countries bring in plastic and get a credit in their account which can then be used to pay for tuition or purchase needed supplies. They've created demand for this 'social plastic' to be used in manufacturing. People in parts of the developed world can apply their bottle deposit toward supporting this program for the poor. This approach helps close the loop (Circular Economy) and provides an easy way for the desperately poor to gain income. Best of all, they're scaling up around the world. It’s tax season, when we all compute what we owe the government. Why not also compute your household debt to the climate? It’ll take about 10 minutes to wipe out your entire annual greenhouse gases, and I bet it will cost a lot less than you think. Solar panels, changing your diet, buying an electric car, all those things are great. But they might take a little time. But you can buy carbon offsets to eliminate your carbon impact today. 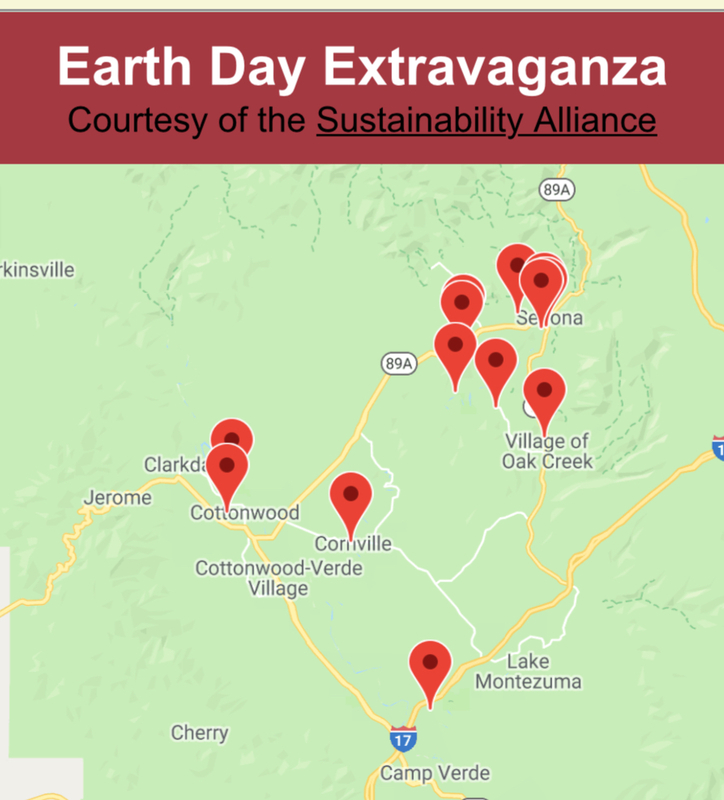 Calculate your carbon emissions from last year and donate toward a certified carbon offset project. I just did it for my household and it cost my husband and me $68. For the year. We have solar panels and one electric/hybrid car so we have a fairly light footprint but do have a gas fireplace and stove. And the biggie, we flew to Europe. It might cost your household a couple hundred dollars, tax-deductible if you itemize charities. Isn’t it worth it? With Arizona getting hotter and drier, we owe it to future generations. 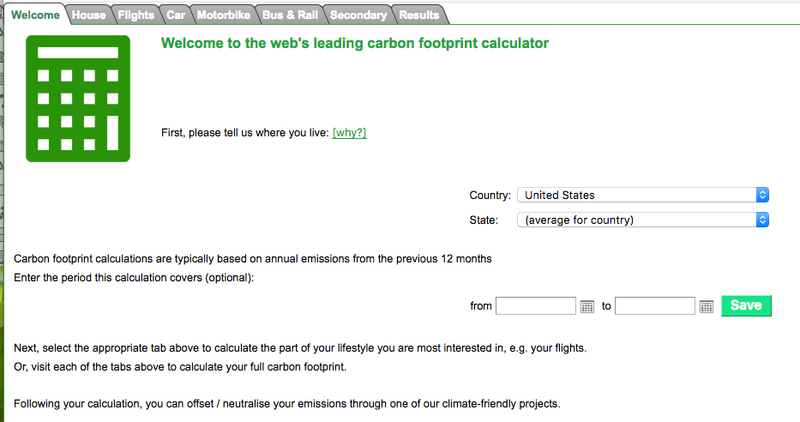 Step 1: Estimate your household greenhouse gases. The EPA carbon calculator for households will ask you the number of people in the household, how much you pay for electricity and gas, and how much you drive (remember to include rental cars): https://www3.epa.gov/carbon-footprint-calculator/. (Note that the website now says they’re updating the resources so the URL might change.) 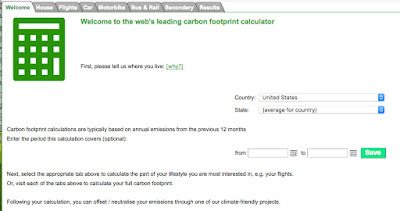 If you traveled by air during the year, it may be easier to use the CarbonFootprint.com calculator since it includes a tab to estimate air travel emissions: https://calculator.carbonfootprint.com/calculator.aspx?tab=3. Whatever method you use, you should end up with metric tonnes. If the calculator produced pounds of greenhouse gases, divide by 2205 to get metric tonnes. Step 2: Choose and pay for a carbon offset project. A carbon offset is basically where you pay someone else to reduce their greenhouse gases by the amount you generated. Projects generally cost around $10 a metric ton. I like Cool Effect because you have a choice of projects and they are third-party certified, meaning you get what you think you’re buying: https://www.cooleffect.org/content/projects. Step 3: Tell your friends and family. We need to make paying for our carbon emissions a social norm. Got your flu shot? Paid your taxes? Offset your carbon emissions? We don’t have to wait for governments to act. We don’t have to wait for renewables to be phased in. You don’t have to buy an electric car today. We simply need to pay for the climate impacts our lifestyle is causing now. In the grand scheme of your household budget, it’s probably the equivalent of one latté each week. I’m willing to make this an annual charitable donation to the planet. Are you? Imagine that. Change the business model of 250 companies and make a major dent in climate change. It’s already starting to happen. Oil companies transitioning toward renewable energy, car companies furiously competing for electric car dominance. These changes, if done wisely, reduce long-term risks, attract investors and improve their profitability. Nike was one of the early corporate leaders in sustainability. First they got embarrassed by social conditions in their contract factories. Next they wondered what else might cause a PR disaster and they started looking at their environmental impacts. Now they see a clear interdependency between social+environmental issues and their business: fossil fuel driven air pollution has cancelled marathons and climate change is undermining traditional winter sports. Among other things, they’ve signed onto the RE100, a commitment to get all of their energy from renewables. In this latest power purchase deal, they are half way there. It’s good news, but there’s also something that troubles me. They are in effect paying to put up a wind farm in Texas. Should we let corporations off the hook by building renewable energy facilities in someone else’s backyard? In the long run, if we only can allocate so much land to make energy, is this the best use? Expensive running shoes and apparel? Some day we may have to answer that question. Larry Fink, the head of Blackrock, the world’s largest investment fund, just put corporations on notice that they need to do a lot more for society and stop fixating on quarterly returns. In a Deloitte Survey, fully 92% of the CEOs supported working toward the U.N. Sustainable Development Goals but only 17% already had work underway to address them by 2030. Awareness precedes action. Now a very powerful individual is telling public companies to get their act together.